Summary: In order to better enhance the communication skills of the cross-border e-commerce team, on the afternoon of September 30, 2017 Shandong China Coal Group International Trade business communication skills training held by the Jining City Industrial and Commercial Business Training School in the second floor conference room of Shandong China Coal Group Industrial Park E-commerce Technology Industry Building, Shandong China Coal Group Cross-border E-commerce Company all employees participated in the training. In order to better enhance the communication skills of the cross-border e-commerce team, on the afternoon of September 30, 2017 Shandong China Coal Group International Trade business communication skills training held by the Jining City Industrial and Commercial Business Training School in the second floor conference room of Shandong China Coal Group Industrial Park E-commerce Technology Industry Building, Shandong China Coal Group Cross-border E-commerce Company all employees participated in the training. 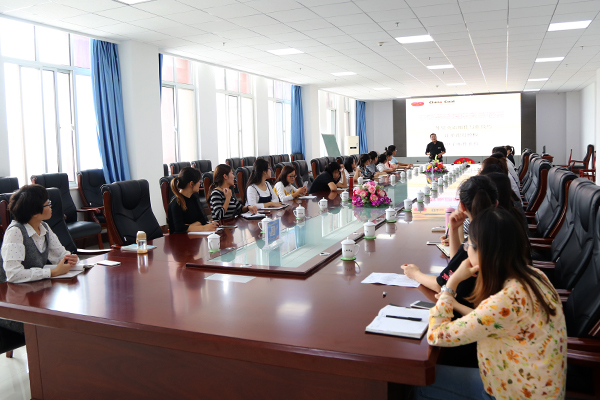 The current training course, Shandong China Coal Group Cross-border E-commerce Company Vice General Manager Tian Cong served as guest speaker. In the course, Manager Tian shared the experience and practice from the aspects of English writing skills in foreign trade, writing principles, precautions and order follow-up templates, and analyzed and discussed the related issues encounter in the daily work with the customer communication, then put forward a reasonable solution for the relevant issues. The whole course was rich in content, practical and strong, greatly improving the ability of foreign trade staff business communication, they all benefited a lot. Through learning the training course, the front-line foreign trade business staff had more directional and technical in the future work, more importantly, inspired them to develop foreign customers with confidence and enthusiasm! 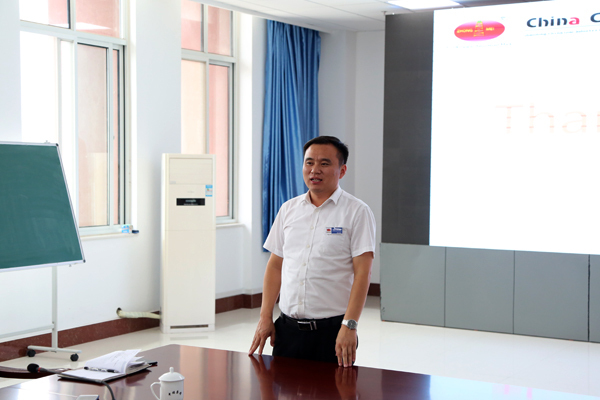 After the training, the Group Deputy General Manager Li Zhenbo made a concluding statement. Jining City Industrial And Commercial Vocational Training School invested and founded by the Shandong China Coal Group, for the national enrollment, and awarded the "People 's Republic of China Private School School Permit" by the Jining High-tech Zone Labor and Personnel Security Department, an e-commerce personnel training institutions approved by Jining Municipal Civil Affairs Bureau, also a focus on e-commerce application-oriented personnel training services schools in Jining. Since the establishment of the school, actively respond to the national call of public entrepreneurship and innovation, relying on Shandong China Coal Group strong group strength and rich experience in enterprise personnel training, has been successfully held e-commerce, cross-border e-commerce, corporate cadre management, financial management , business etiquette, business communication skills, legal knowledge and other training courses, and warmly welcomed by the community, social response was very good! The next step, the Group would strictly abide by the relevant provisions of the national private vocational training, to strengthen the teaching management, to ensure the quality of training, honest and trustworthy, standardized school, with the five advantages of diversified professional, strong teachers, standard teaching environment, flexible training mode and high quality service, relying on the China Coal Group strong e-commerce comprehensive strength, to built Jining City Industrial And Commercial Vocational Training School to be the professional e-commerce personnel training schools of setting of research, teaching, training, transportation and services in one in Shandong Province!